Drilon-Tushemisht is one of the unmatched areas with natural beauties next to Ohrid Lake. 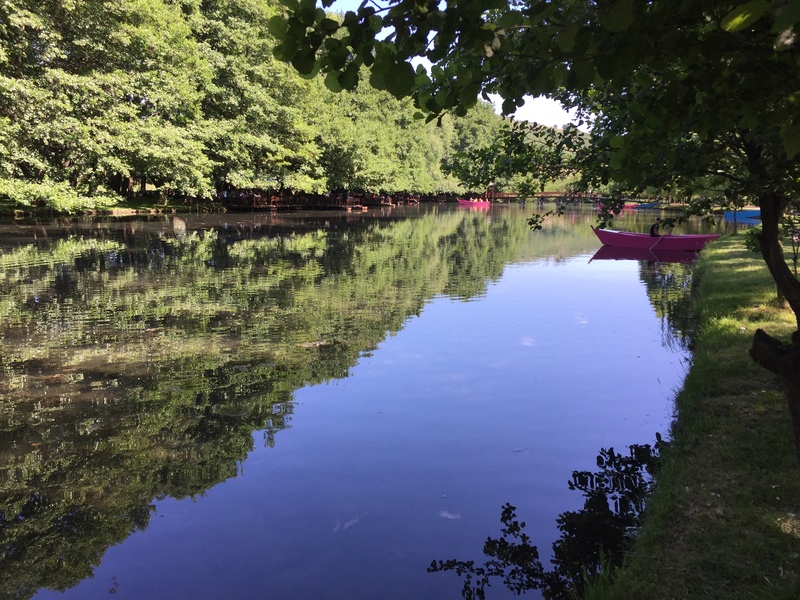 In such a small geographic space are nicely included some of the Albanian nature pearls like: Drilon Springs, Ohrid Lake, typical houses from the area, narrow pedestrian paths, picturesque landscapes, which create a wonderful oasis with multiple tourism development opportunities in the area. Despite the natural wealthy opportunities the zone can offer, its tourism potentials are yet underdeveloped. The main challenge for the zone is the lack of customized touristic models and other commercialization services. To overcome this challenge, AADF is considering working to design project that includes architectural and development plans for the area. This project is to provoke investments that enhance, promote and activate natural resources of protected that have been untapped, or underutilized. At the main hall of the National Historical Museum is opened today the Exhibition Waterscape Park Design for Drilon-Tushemisht. 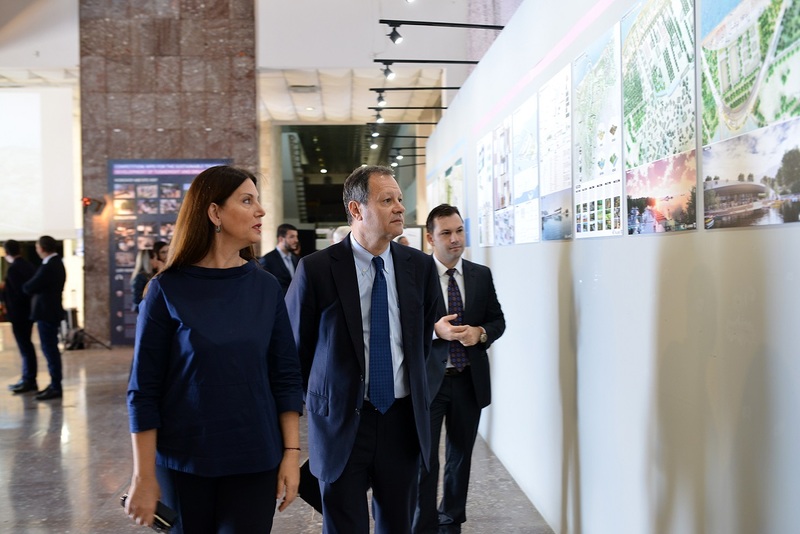 In the opening day the exhibition was visited by the AADF Chairman Mr. Michael Granoff, the Minister of Culture, Mrs. Mirela Kumbaro, AADF’s Board Members and Co-CEOs, architects and other stakeholders. The project design proposals by the five internationally known companies who participated in the second phase of WPD Competition for Sustainable Tourism Development of Drilon-Tushemisht are exhibited. The proposals include design posters, descriptive materials, illustrative and descriptive videos, branding strategy and layouts, etc. A special area into the exhibition is dedicated competition process, with information on the competition workshop and site visit, competition evaluation, jury composition, etc. 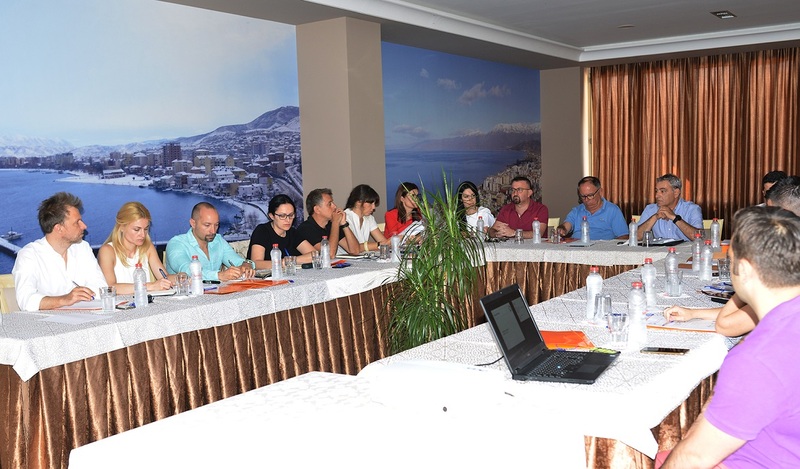 Aleksander Sarapuli, AADF Co-CEO, together with representatives from the five companies shortlisted for the second phase of WPD Competition participated in the site-visit on July 6. 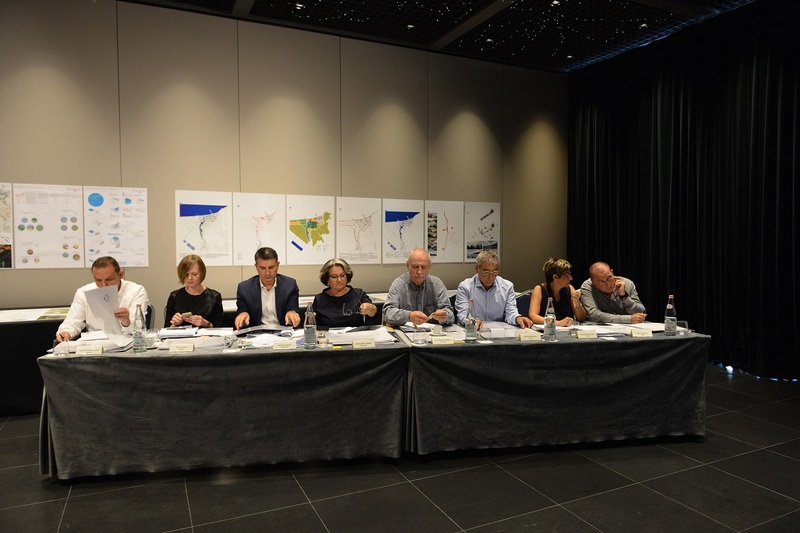 In this phase the short-listed companies will compete through their work for preparation of the detailed plan and architectonic design for the area of national importance Drilon-Tushemisht. The 2nd phase short-listed companies are among the best European companies, with outstanding experience in design of projects implemented in areas similar to Drilon-Tushemisht. The architects of Grimshaw (UK), Archea (Italy), ProAp (Portugal), Mario Cucinella Architects (Italy), and AKA Studio (Italy), together with their local partners and accompanied by the staff of AADF, Pogradec Municipality and National Territorial Planning Agency had the chance to explore the area and discuss about the project expectation of AADF and its partners from local and central government. The competition 2nd Phase where the project ideas will be presented by all short-listed candidates will end in September 2018, with the winner project announcement.